One of the best parts of science is bringing new techniques and technologies into your lab. Our newest technique is SRRF imaging, which can more than double the resolution of nearly any widefield microscope, and can even be employed on living samples. 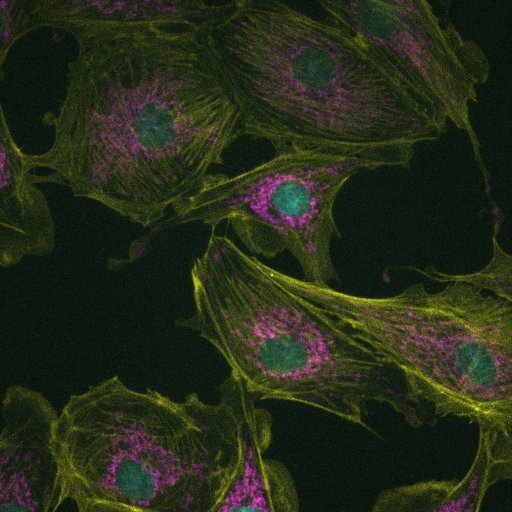 The improvement this technology adds can be seen in the images of bovine aortic epithelial cells on the left, which have been stained for actin (yellow), DNA (cyan) and mitochondria (magenta). 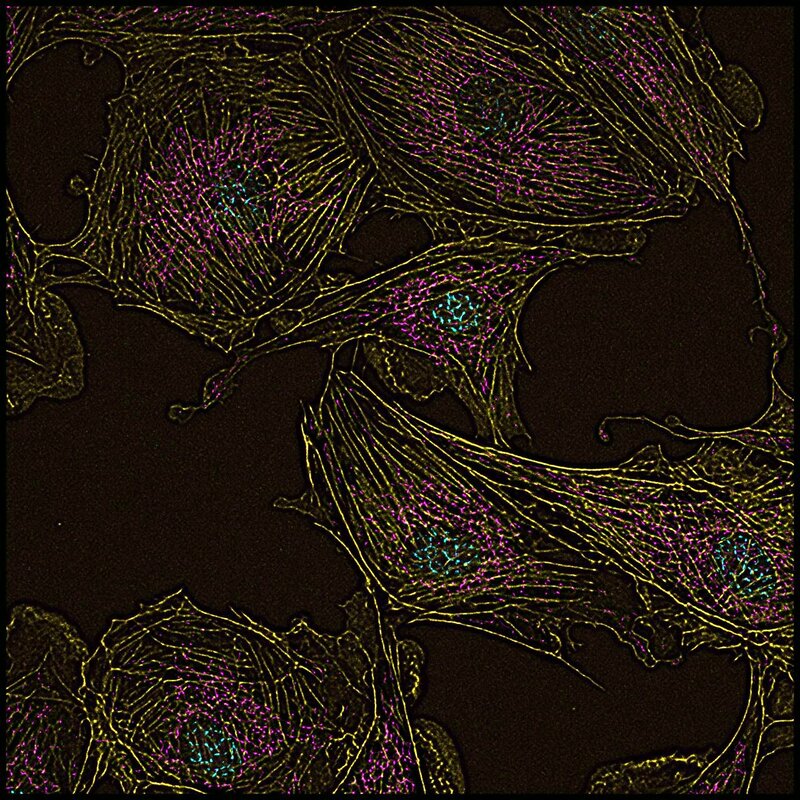 SRRF imaging uses a specialised deconvolution approach which relies on the mapping of radial symmetry to resolve the positions of fluorophores with high precision. This process is repeated over a number of frames (10-100), with the convergence of signals between images used to refine fluorophore positions and non-convergence used to remove noise. The result is a dramatic improvement in both resolution and signal-to-noise ratios. This amazing advance in microscopy was made possible by the work and free NanoJ plug-in for ImageJ/FIJI produced by Ricardo Henriques’s group at University College, UK. SRRF imaging will soon be available to approved users via our widefield core.